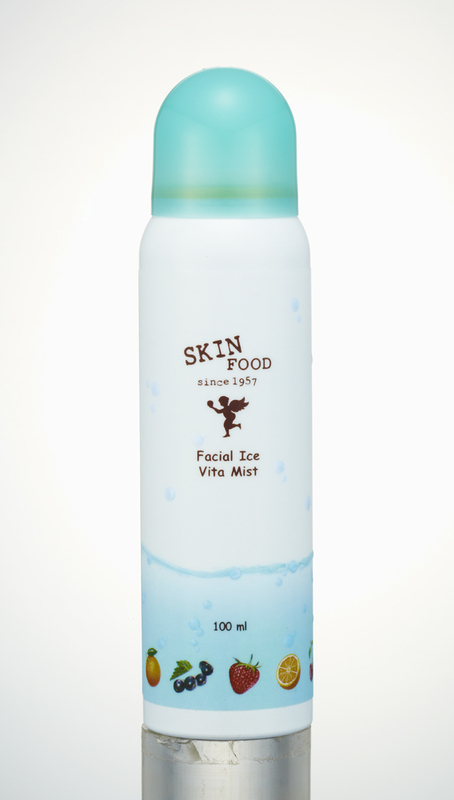 Skinfood released a new line of Skincare range called Facial Ice Vita line. All products are enriched with concentrated active ingredients from a variety of fruits and vegetables known for their richness in vitamins A, B, C and E.
Contains skin-beneficial fruits and vegetables known for their richness in vitamins A, B, C and E for fresh and revitalize skin. Uses Alaskan Glacier Water with mildly alkaline pH, enriched with oxygen, minerals and ions. Skinfood also discover the benefits of Alaska Water. This bestowed water with the finest resource for human kind – oxygen rich, clean and untouched with naturally occurring high alkalinity (ranging from 7.8-8.3 seasonally), we bring you our world class wellness Facial Ice Vita that we call “Nature’s Premium Water”. This Facial Ice Vita range produces an ultrafine mist to immediately cool, hydrate, and soothes hot, stressed and irritated skin. 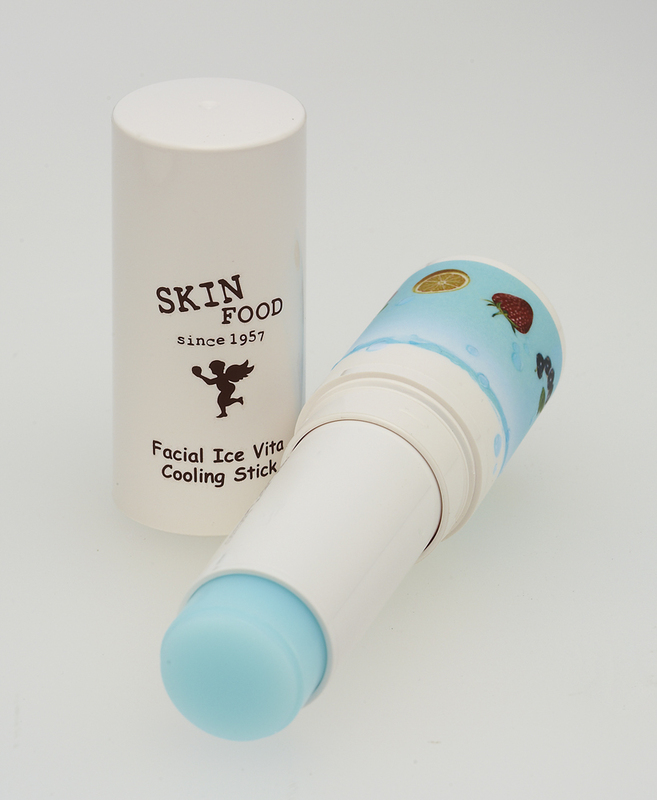 The icy range of Skinfood Facial Ice Vita cool your skin down especially in Malaysia’s humid weather, reduce morning swelling, and tighten enlarged pores. 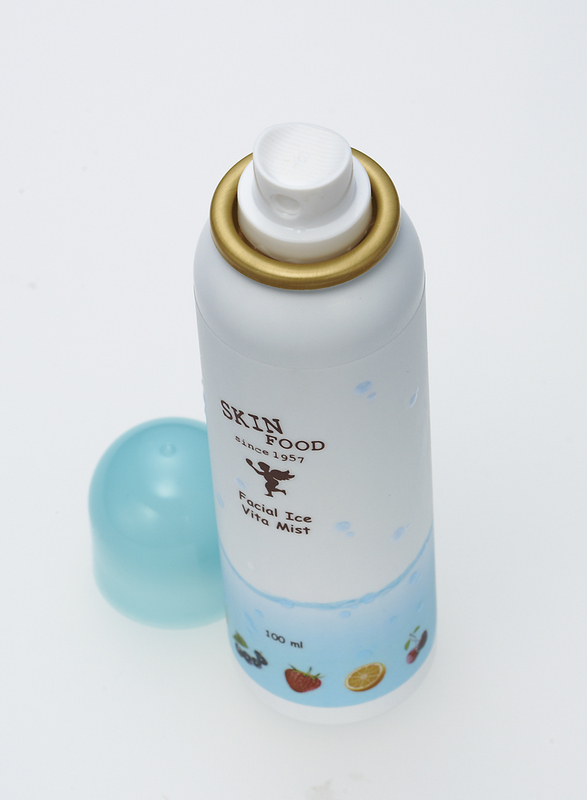 It doesn't just cool your skin but also uplifts your mind!" An ultrafine facial mist that immediately cools, hydrates, and soothes hot, stressed skin with Vita A, B, C and E complex and Alaska glacier water. Use the ice toner to cool down during summer heat, reduce morning swelling, and tighten enlarged pores with ice particles that immediately relieves heat sensations and skin dryness with fluffy cloud of icy sherbet infused with Alaska glacier water and vitamins. 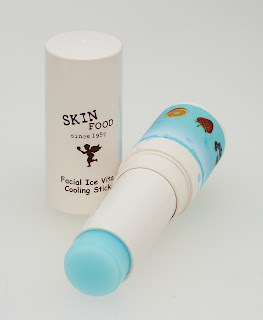  Facial Ice Vita Cooling Stick/RM45.00 An eye stick that provides hydration and cooling sensation with Alaska glacier water while revitalizing stressed, lifeless and puffy skin with a multivitamin complex. Woah! 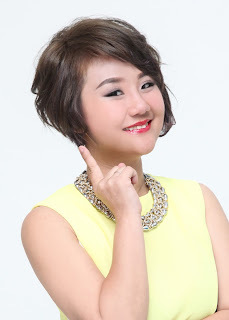 It is cool for tired and dull eyes like me! refresh & awake with this cooling stick!